If you like taco salad, you’re going to love this Easy Taco Pasta Salad. Full of Mexican inspired flavors this side dish is perfect for a summer potluck or BBQ. 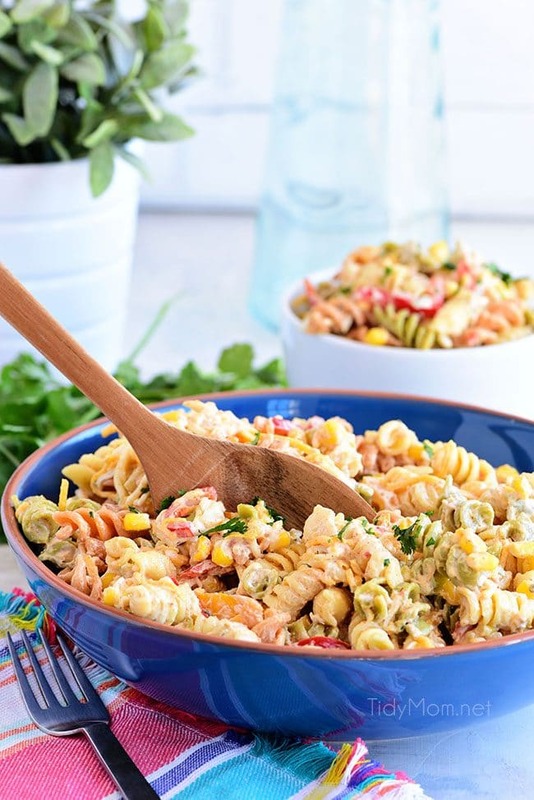 Pasta salad is a go-to for me in the summer, so I always have my fridge stocked with some whether it be Asparagus Pasta Salad With Creamy Lemon Dressing, Caprese Pasta Salad, or Creamy Italian Skroodle Pasta Salad. It’s about time we take two irresistible dishes and let them get to know each other! Today we are doing what some might have thought was the impossible. We’re taking all your favorite flavors of delicious tacos, and combining it with the essential party dish, pasta salad. That’s right dreams are coming true today as this amazing taco pasta salad enters your life, full of fresh bell peppers, Mexican cheese, green chilies, taco seasoning, and so much more! 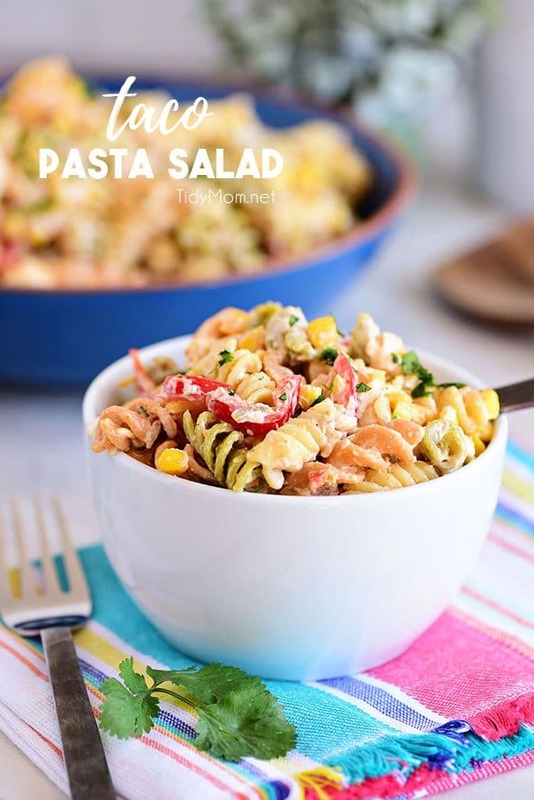 It’s truly a one of a kind pasta salad that’s quick to make and will feed a crowd! We all know that simple recipes are essential when trying to make a lot of food at once. That’s why I love this pasta salad recipe so much. Whipping up a batch takes no time and it’s beyond easy. Cook the pasta and drain and rinse with cold water, then set aside. Add mayo, sour cream, taco seasoning and ranch mix to a very large bowl. Using a rubber spatula mix until well combined. Add pasta and toss until well coated. Then add remaining ingredients and stir to combine. Be sure to taste to check for seasoning balance. Add more salt, pepper, lime juice, cilantro, etc. if desired. Cover and place in the refrigerator for at least 2 hours before serving. What Else Can I Put In A Taco Pasta Salad? Don’t get me wrong, this recipe is perfect exactly how it is and I highly recommend you try it that way first, but you can never go wrong with more toppings. You can really add anything you want into this dish to make it your own, but here are a few of my suggestions that I think would be so good! Use spiral noodles: When making pasta salad I love to use spiraled noodles because they are way better at holding all of the flavors in the mixture. Flat noodles just won’t give the same effect, so try to grab some kind of spiraled noodle for this one. Let it sit: Make sure you let it sit in the refrigerator at least 2 hours or overnight to let the flavors mingle. It’s not going to kill anyone if you serve immediately, the flavors just won’t be as bold as they would be if everything sat for a while. Serve room temperature: I prefer this salad room temp or slightly cold, so I take it out of the fridge 30 minutes to 1 hour before serving. As weird as it sounds I feel like you almost taste everything more when it’s not right of the refrigerator cold. 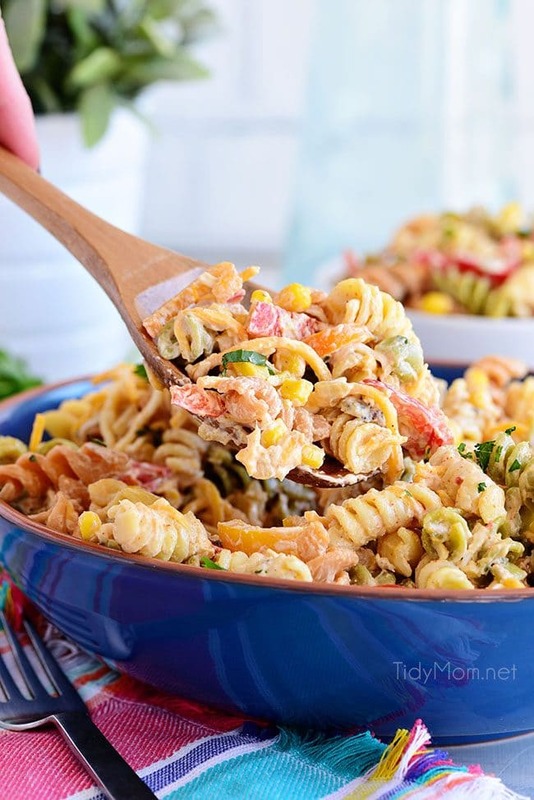 When In Doubt, Serve Taco Pasta Salad! Turning tacos into a cold pasta salad means you have an excuse to eat tacos even more than you used to! With taco pasta salad, your tacos become the perfect side dish to serve at your next party. No need to save something this good for just special occasions though, it also makes a great addition to your family dinners any time of the week. With simple easy to find ingredients that deliver big-time results and flavor, you’d be a fool not to make a batch. How Long Does Pasta Salad Keep? If you somehow end up with leftovers (unlikely because it’s just that good) don’t just throw it out. It makes a great snack the next day, or you can use what’s left to serve as a premade side for weeknight dinner. You can keep any leftovers stored in the refrigerator in an airtight container for up to about 4 days. You can also feel free to keep some in the freezer stored in an airtight container for up to 4 months. Easy Classic Bean Salad A great side dish in the summer but yet hearty enough for a fall side as well! Quick to make, packed with flavor, and travels well making it perfect for potlucks! Spinach Artichoke Mac and Cheese The signature creaminess of spinach and artichoke dip paired with the cheesy, saucy macaroni noodles is at once unexpected and utter destiny—the hallmarks of any great love story. Light and Crunchy Chinese Slaw Delicious combo of assorted crunchy veggies with a light dressing that was a big hit when I took it to a barbecue recently. It’s a very light, no-cook, one-bowl recipe that’s best made ahead of time, a perfect addition to summer menus. Creamy Italian Cucumber Salad The best party side made easy with thinly sliced cucumbers and red onions! You’ll love the tangy, creamy dressing! Roasted Cauliflower With Feta and Garlic Crumbs This is a great side dish for a weeknight meal, company or would be wonderful at an Easter dinner table! You can even make the crumbs in advance to make it all even a little quicker. Peach Caprese Salad Sweet yellow peaches are tossed with fresh greens and basil then topped with mozzarella and prosciutto before being drizzled with a balsamic glaze to make this Peach Salad. Like This Taco Pasta Salad? Pin It! You HAVE To Try This Now! I promise you’ve never had a pasta salad quite like this before. 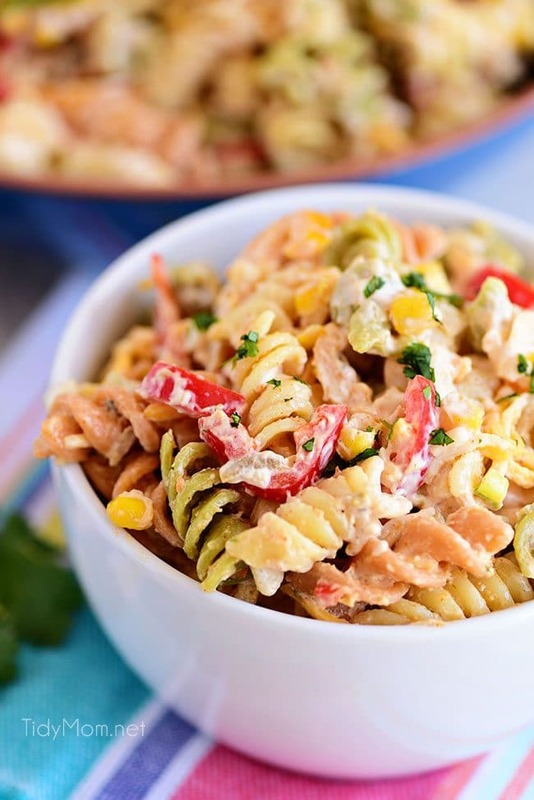 This unique twist on the traditional pasta salad will be a dish no one will be able to forget or resist. 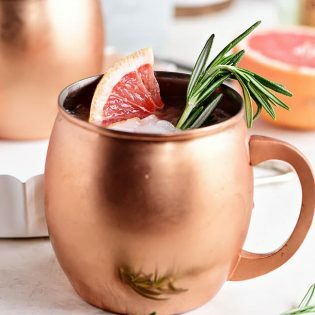 So add this recipe to your list now and watch it disappear in no time at your next party, or event. If you like taco salad, you're going to love this Easy Taco Pasta Salad. Full of Mexican inspired flavors this side dish is perfect for a summer potluck or BBQ. Cook the pasta according to the package directions. Drain and rinse with cold water then set aside. Add mayo, sour cream, taco seasoning and ranch mix to a very large bowl. Using a rubber spatula mix until well combined. Add pasta and toss until well coated. Add remaining ingredients and stir to combine. Taste to check for seasoning balance. Add more salt, pepper, lime juice, cilantro, etc. if desired. Cover and place in refrigerator for at least 2 hours before serving. 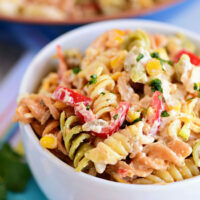 Pasta salad will keep airtight in the fridge for up to 4 days. 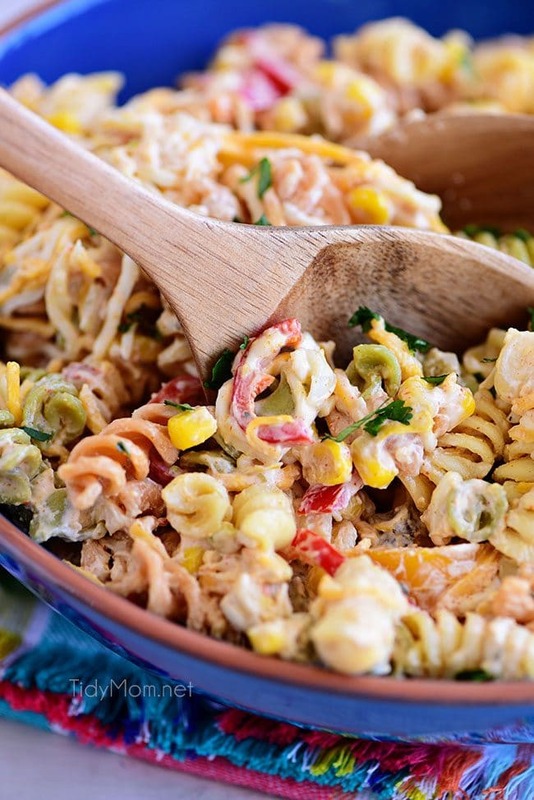 “When in doubt, serve taco pasta salad” I LOVE that! 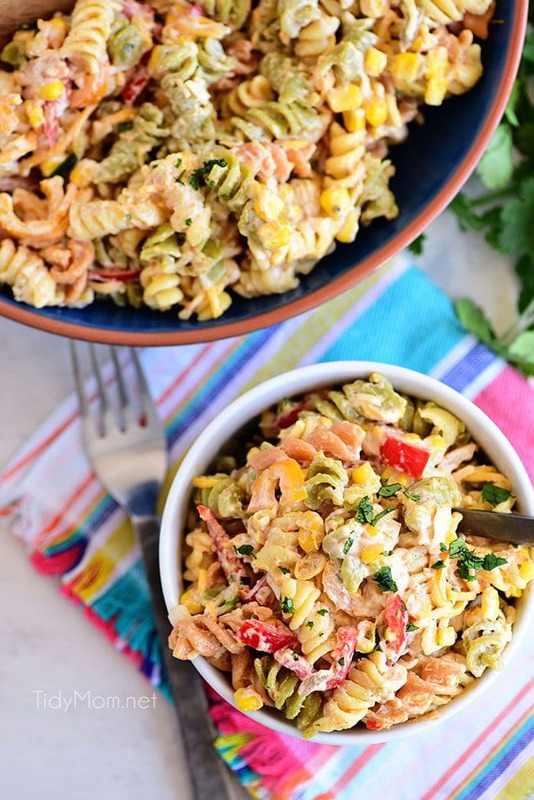 You bet I will be serving this pasta salad a lot this summer! Ok, pasta salad is my weakness… and combining that with my love for tacos??? Oh mylanta. So good! 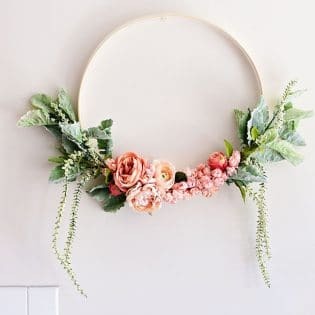 This is so perfect for pot lucks! Love it! This was such a huge hit with my family especially my kids. Definitely a winner I’ll be making all summer long. 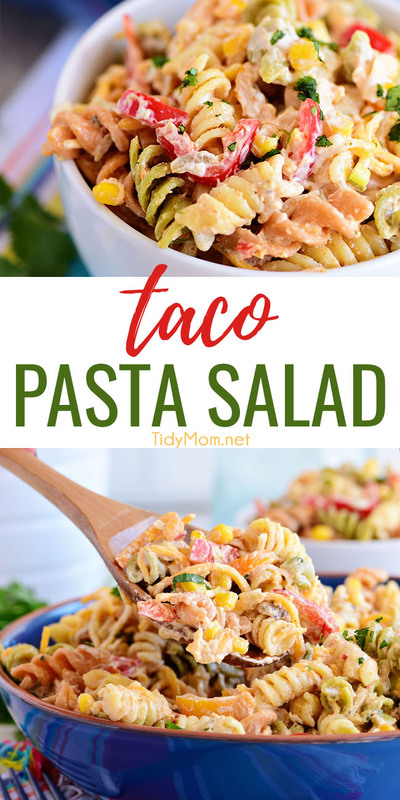 My family loves this taco pasta salad! So delicious and easy to make!